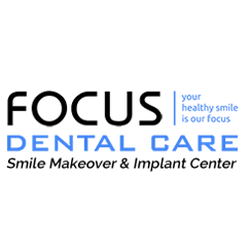 Why choose Focus Dental Care in India? They have treated over 14,000 patients, placed over 4500 implants, and undertaken more than 140 full mouth rehabilitations. A tooth implant is a titanium fixture which is surgically placed in the jaw. It replaces the root of the tooth and provides an anchor for a dental prothesis, which could be a replacement tooth, bridge or denture. Implant Dentistry Specialist Dr Ajay Krishna has been performing dental implant procedures for over 10 years. He provides world leading dental implants and exclusive basal implants under the registered title Fixed Teeth in 3days at an economical price. Dental implants have multiple advantages such as being minimally invasive, improving chewing and speech, and preventing further bone loss. Focus Dental Care is specifically designed with international patients in mind. Alongside an international patient coordinator, all of their dentists and dental specialists are English-speaking and can provide high-quality dental treatment in a state-of-the-art facility. The clinic won the Best Dental Surgeon in Hyderabad Award in 2015 and has treated thousands of clients from all over the world, including celebrities. The clinic is easily accessible, with direct connections from Europe, the Middle East and South East Asia to Hyderabad-Rajiv Gandhi International Airport. You can also take a connecting flight via New Delhi and Mumbai. Find out about other people's experiences of the Focus Dental Care. Focus Dental Care is rated 5.00 out of 5 from a total of 3 reviews .